If you send out certain types of products or information to customers, you might benefit from kitting services. Perhaps this is something you’ve used before or at least considered. On the other hand, you may be wondering “what is kitting?” Either way, it’s worth learning a bit about this process and how it can benefit your business. Brandables offers customers professional warehouse fulfillment services. Although our warehouse is located in the Phoenix, AZ area, we provide kitting for companies all over the United States. We have you covered for warehouse fulfillment! into kits include literature, displays for trade shows, CDs, games, free samples and media or PR packages. While you can do this yourself, another option is to outsource these services. Putting together kits is often combined with other services such as order fulfillment. When you outsource to a kitting service such as ours, we’ll help you come up with a customized solution based on your needs. Why should you consider letting us handle fulfillment services for you? Save time. Packaging items together and shipping them out is a time-consuming process. As your business grows, you’ll hopefully have more items to ship out. Perhaps you need to assemble multiple types of kits. Outsourcing lets you run your business more efficiently while you let us handle these tasks. Save space. When you put together packages for customers, you need to store all of the components. This includes boxes and shipping materials along with the items you need for the kits. 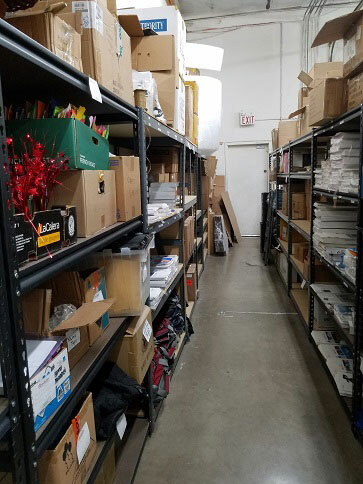 When you outsource, we supply all these essentials and you don’t have to worry about storing anything in your own facility. More economical. We have lots of experience compiling kits and have developed an efficient process, including the equipment, space, and manpower necessary for these tasks. We can pre-build your kits in batches so they’re ready to ship out when needed. We also know how to package your kits in the fastest and most cost-effective way possible. Provide better service. Compiling kits yourself is not easy if you don’t have employees trained in this type of task. We’ll do it faster and more accurately than you could. This reflects well on your business and improves customer satisfaction. When you want to run your business as efficiently as possible, tasks such as order fulfillment and kitting services can drain your time and energy, leaving you fewer resources for product development, marketing and customer service. Why not free up this time and let us handle your kitting needs? Outsourcing cumbersome fulfillment tasks can help you run your business more efficiently, save you time and money and enable you to provide your customers with better service. If you’re looking for a way to grow your business by outsourcing time-consuming tasks, our kitting services can help.